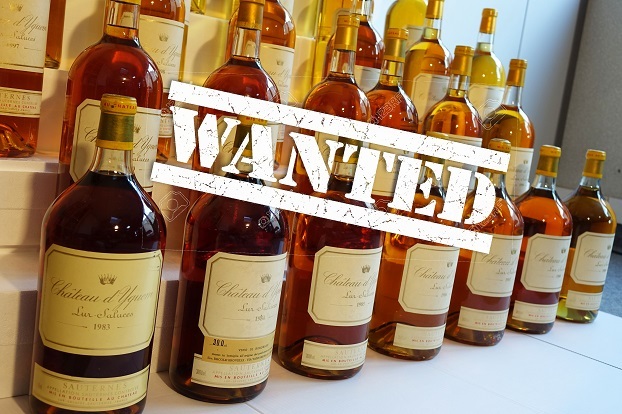 We frequently discuss the contents of a wine bottle, but what about the bottle itself? 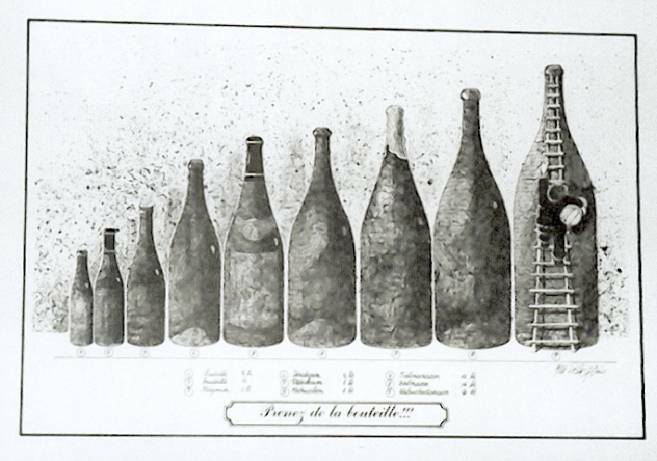 This article looks at larger format bottles – available in different shapes and sizes – and the sometimes mysterious origin of their names. 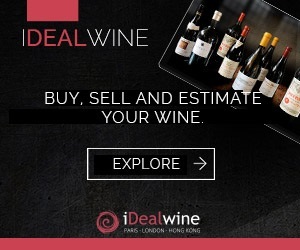 The most commonly found large format wine bottles include, in order of increasing capacity, magnum, double-magnum, jeroboam, rehoboam (no longer produced), methuselah, salmanazar, balthazar, nebuchadnezzar and solomon. Aside from the wine itself, the glass used for handcrafted bottles can reach very high prices. 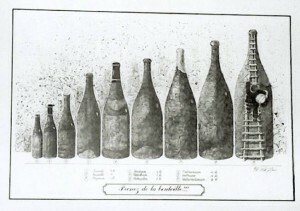 For example, a nebuchadnezzar bottle (15 litres) is worth around €265, while a solomon (18 litres) is worth around €600. There are also other examples of massive bottles produced for special occasions. 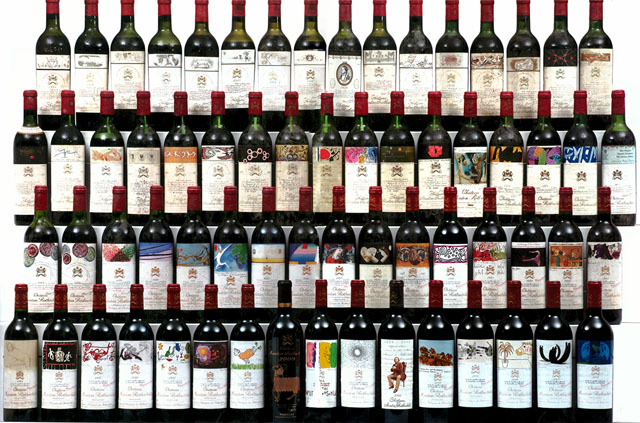 One such record-holder is the maximus, commissioned in 2004 by the Morton Steak House chain in the USA, which contains 130 litres of Beringer Vineyard Private Reserve 2001. The name derives from the Latin word magnum, meaning “great”, and it has been known as such since the end of 18th century. 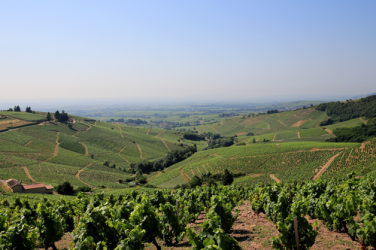 The Bordelaise call it “double magnum”, while a 5 litre jeroboam (6.66 bottles) is also sometimes found in Bordeaux. According to the bible, Jeroboam I (931 – 909 BC) was the first king of the northern part of Israel. He was crowned by the 10 tribes that rose up against Rehoboam, son of Solomon. Jeroboam II (743 – 746 BC), son of king Joash, extended his power over all the lost provinces, with the exception of the Kingdom of Judas. Son of King Solomon, his tyrannical government came under fire for 10 of the 12 tribes of Israel who followed Jeroboam. He conquered the territories of Benjamin and Judah. 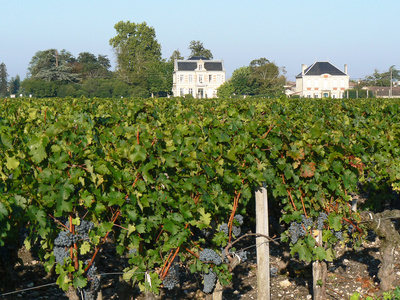 This bottle is sometimes called “imperial” in the Bordeaux region. The name of the patriarch Methuselah – the oldest person mentioned in the Old Testament – has become synonymous with longevity and according to Genesis, the son of Enoch had lived 969 years and perished in the flood. This was the surname of five Assyrian kings. Shalmaneser I reigned in Assyria between 1275 and 1245 BC, while Shalmaneser III was the son of Assurbanipal and a great conqueror. Shalmaneser V reigned from 727 to 722 BC and invaded Palestine. He defeated the king of Israel, Hosea, and took control of Tyre and Samaria until his death. Balthazar was one of the three wise men who came to pay homage to the infant Jesus. In traditional iconography, he represents Africa. A second biblical Balthazar exists and could have given his name to this bottle. This Balthazar was the last king of Babylon, killed during the seizure of the city by Cyrus in 539 BC. He was the greatest king of Babylon and ruled between 605 and 562 BC. After defeating the Egyptians, he conquered Jerusalem several times and took the Israelites captive to Babylon, which he turned into a magnificent city. Solomon was one of the wise men who supposedly came from Europe. In the Old Testament, Solomon was king of Israel between 970 and 931 BC. With the gift of wisdom and knowledge of languages, he is the subject of several books of the Bible. His wealth, harem and relationship with the queen of Sheba are also legendary. The sovereign bottle was designed for the baptism of the largest cruise ship in the world, « Sovereign of the sea », on 16 January 1988. The name originates from Latin and means « first class ». Historically, primat was the name given to a few archbishops, who would then gain some sort of superiority over all bishops and archbishops of a region. 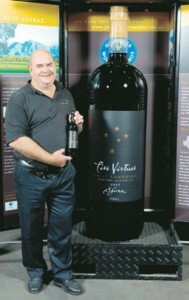 This name was used for the first time in 1999 for what was then the largest bottle ever produced. This bottle has been used since 2002 and is named after an enigmatic character of sacred history. 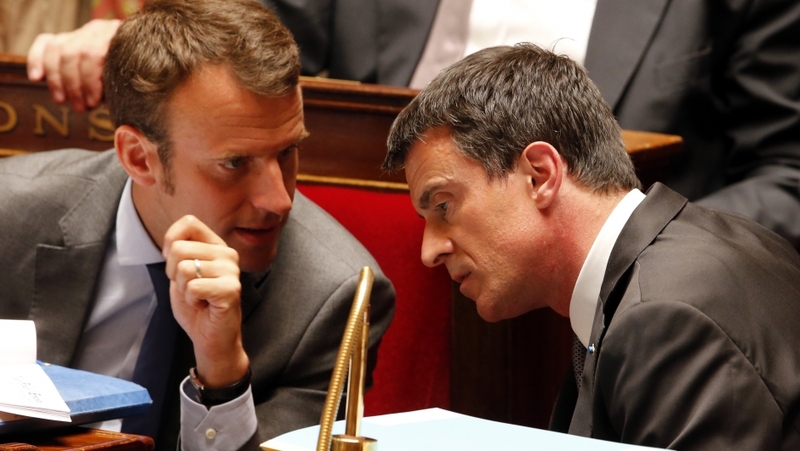 Melchizedec blessed Abraham and has gained a similar ‘messianic’ character to that of Christ. 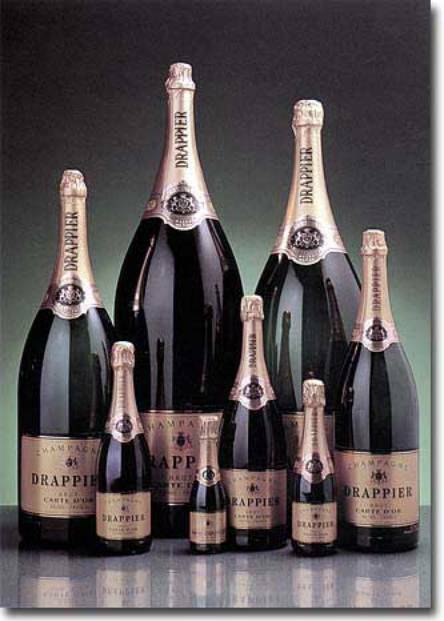 Champagne house, Drappier, also own a further two oversized bottles, namely Maximus and Five Virtues. The maximus set the record for the largest bottle, but this was broken in 2008 by Five Virtues. This bottle is 1.82 m tall and weighs 589kg, with a capacity of 290 litres, or 387.66 bottles. It contains Australian Shiraz of Liquor North Road, Albany. There is a new world record-holder, however, and this extraordinary bottle only exists in a single copy. It is displayed in a Swiss restaurant, Gasthaus zum Gupf, in Rehetobel (Appenzell). It was made in Germany and contains the 2005 vintage of sweet white wine from the Austrian Burgenland. 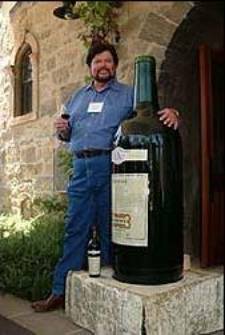 The bottle is 2.4 m high, 68cm in diameter and contains 480 litres. The closure measures 18 inches (45.72 cm), compared to a normal average of 2.4 cm. This bottle contains no less than 640 bottles of wine!